NovaPULS™ Floor Models are designed and built with customization in mind. This model is perfectly suited for Machine-level & Process-level Automation. Each Fabric Welder includes our proprietary patent pending Puls2™ low frequency pulse packet sealing technology. Puls2™ is a smart technology that assures cooler and faster sealing of all industrial fabrics. Puls2™ is virtually maintenance free. And, best of all, it is Made in America, includes our 5-year Warranty and 24/7/365 NovaCARE™ application/support. Its robust construction makes this machine your perfect choice as a Fabric Welder with standard bar lengths of 168-inch (4.2m), 210-inch (5.3m), 252-inch (6.4m), 294-inch (7.5m) and 360-in (9.1m). 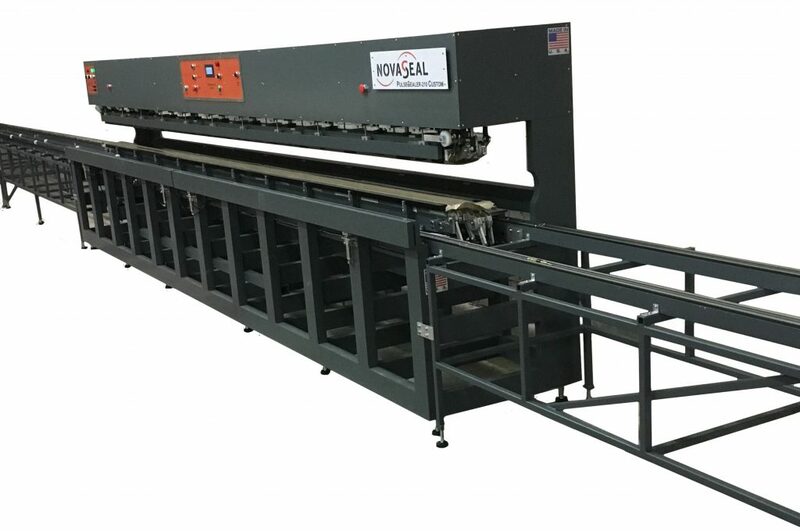 And we were the first manufacturer to build bar lengths larger than 168-inch with our first 294-inch Fabric Welder built in 2007 more than 10 years ago. Our long length Fabric Welders are also the most affordable with the lowest Total Cost of Ownership (TCO) in the industry. Pre-loaded features include although not limited to: touchscreen with indexed memory locations, easy pass-through daylight, large front/rear mag plates, internal diagnostics, Internet of Things (IoT) and automation ready, intuitive smart controls, pneumatically activated material stops or front loading cradle, multiple operational modes, Puls2™ technology. MultiHead Sealing. Adds second welder on the same machine. I.e., 1/4inch and 1/2inch fabric welding on one machine. Maintenance is very often overlooked when purchasing a new machine. 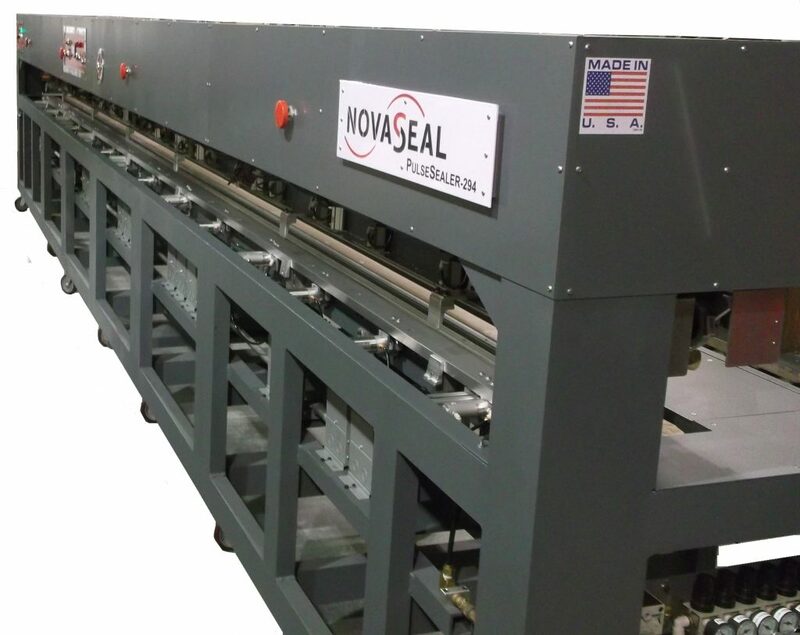 One of our large shade manufacturing clients recently shared with us that compared to a popular European manufacturer of heat sealers, NovaPULS™ sealers require less maintenance and significantly less time to complete the maintenance. “We use a Novaseal® ShadeSealer-168 to make about 4000 seals per month which translates to 6,000 to 7,000 shades per month. Heating elements and zone tape are the only replaceable components and are replaced on an average once every 3-4 months. 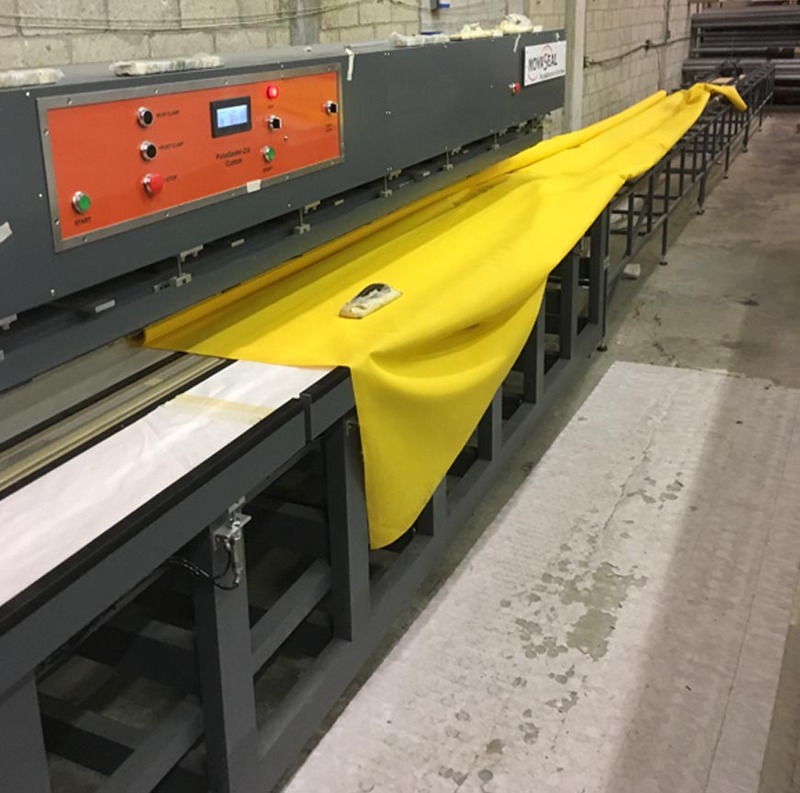 Replacement only takes about 15 minutes, compared to a competitive European manufacturer which requires up to a full day for maintenance, and we produce far less shades on those [European-made] machines in the same time period.” … When everything is considered, NovaPULS™ is not only the better sealer, but it also requires less maintenance which means less downtime.